Home / blog / Connecting the gap between Human and Nature! Connecting the gap between Human and Nature! Humans have evolved themselves to the extent that the bond between nature and people has diminished over the period of time. In the hustle-bustle of modern urban life with deadlines to meet and delivery of a project, humans hardly find time to relax and focus on their life. In the race of earning big money and acquiring a luxurious lifestyle, people have actually forgotten what real luxury means. Is it only technological advancement? To some limit, yes it is. 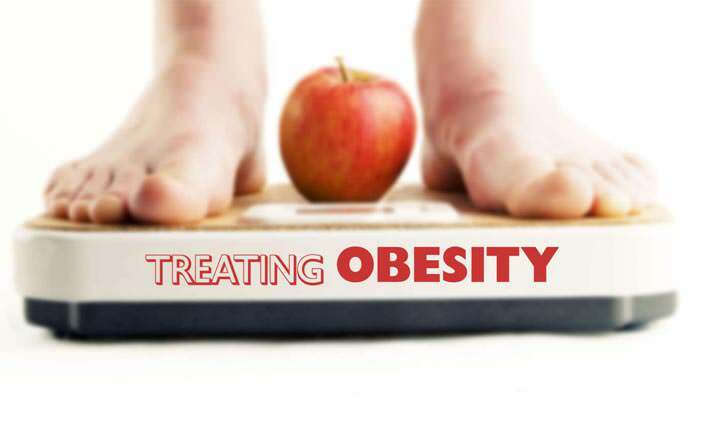 But what about being healthy, living a satisfied life, eating healthy and spending time with the family? These aspects are more important than just materialistic luxury. And Nimba Nature Cure Village works dedicatedly on providing those lost natural connections to bring back the stability of mind, body, and soul. Most importantly, the connection of a person to nature teaches him the worthiness of being surrounded by it and imbibing it in one or the other form. Our dedication to preserving nature comes only once we realize how far we have gone from it. Those small benefits that nature offers are somehow being missed. Moreover, the technological developments, industries, and its side effects – ‘pollution’ have completely marred the nutritious value of the crops. The compost flooded with chemical fertilizers and pesticides tend to leach out all the vitamins and minerals from the vegetables. This is an inevitable situation due to changing the environment and materialistic lifestyle. However, if you do love to enjoy Satvik food and fresh veggies straight from the organic farms that are devoid of any kind of pesticides and artificial fertilizers, come to Nimba nature cure Village. Spending time and refurbishing your complete self in nature can heal you from within. Work-life balance sounds so obsolete when talking amongst today’s money-minting generation. Hardly will you find someone who is not saddled with office work or who comes on normal time. Not that we don’t want to but the lifestyle and work environment has refrained us from enjoying the perks of normal balanced life. All we do is work, work, and more work. And this has gone to the extent that we have started losing on family time. For instance, rich Businessmen, IT professionals or media people are the biggest victims of this money-driven society. We have entangled ourselves so much into working and earning more that we hardly go to the parent-teacher meetings or school functions of our kids. We hardly get a glimpse of our kids playing around in the home. Though work is good and one must earn well for sustaining family needs but it is important to take breaks from this hectic life to spend time with family in the lap of nature. A healthy lifestyle makes a healthy mind and a healthy body. In order to get your sanity back, one must spend time focusing on what you should eat; and incorporate yoga into your routine to build strength from within. Eat for health not merely for taste. Fast food has taken over the entire food market and everybody is becoming a slave of burgers, French fries or pizzas. For one’s own good, try to replace fast food with nutritious home cooked food. It would be life-changing if you take these suggestions. 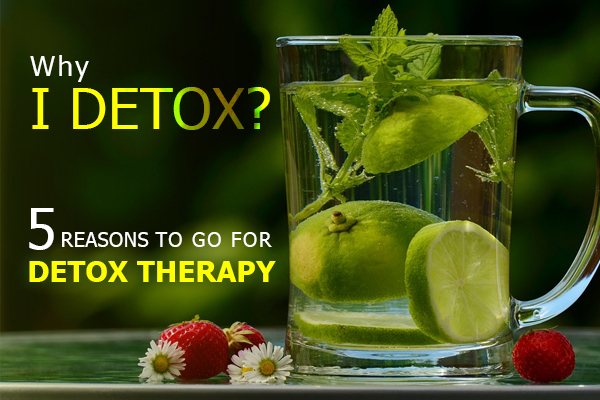 Nevertheless, if you really don’t have time and just want to take a break from your hectic life, come to Nimba – a naturopathy centre in Ahmedabad. 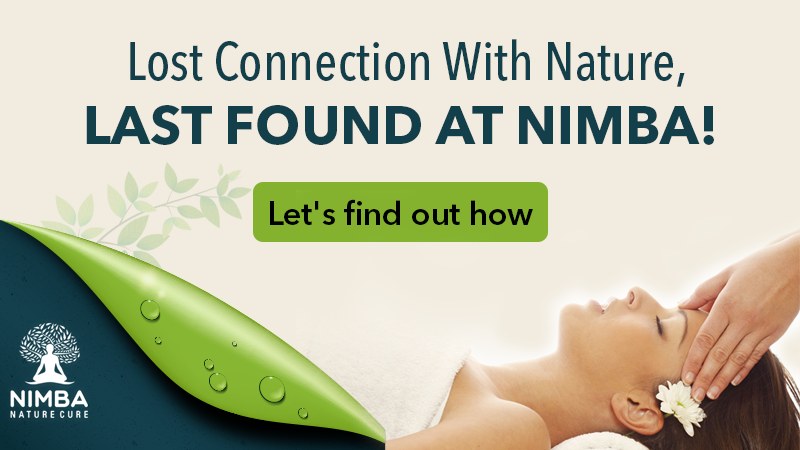 Nimba nature cure village is the best wellness retreat in India for people who want to connect with nature despite a busy life and want to enjoy the benefits of naturopathy. Nimba assures to transform their lives by bridging that gap between human and nature. 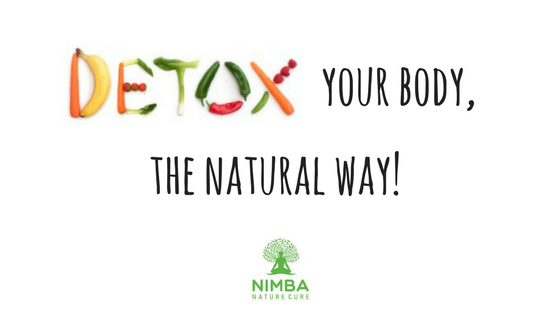 At Nimba, we try to heal those stressed out muscles and tired minds by rejuvenating your soul through Yoga, Ayurveda and therapies like reflexology, deep tissue massages, acupuncture and much more. Moreover, if you are suffering from any respiratory disease, gastrointestinal disease, musculoskeletal or endocrine disease and want a natural treatment, Visit Nimba and get healed!